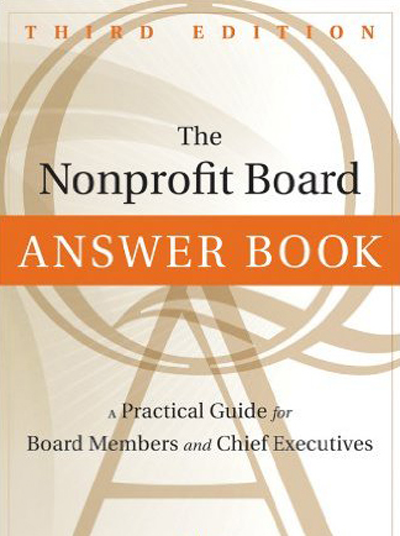 One of BoardSource’s best-selling books, The Nonprofit Board Answer: A Practical Guide for Board Members and Chief Executives Book provides answers to the most-commonly asked questions about governance.This book is a hands-on guide for board members, chief executives, and others who are charged with leading their organizations. Board members will learn how to be more effective in dealing with everyday challenges; chief executives will gain insight into how to build a strong partnership with their board. We include information on topics that have recently increased in importance, including the new Form 990, dealing with the financial crisis, risk management, and strategic partnerships. Designed to be user-friendly, it is written in an easy-to-use question-and-answer format and includes actions steps and examples. 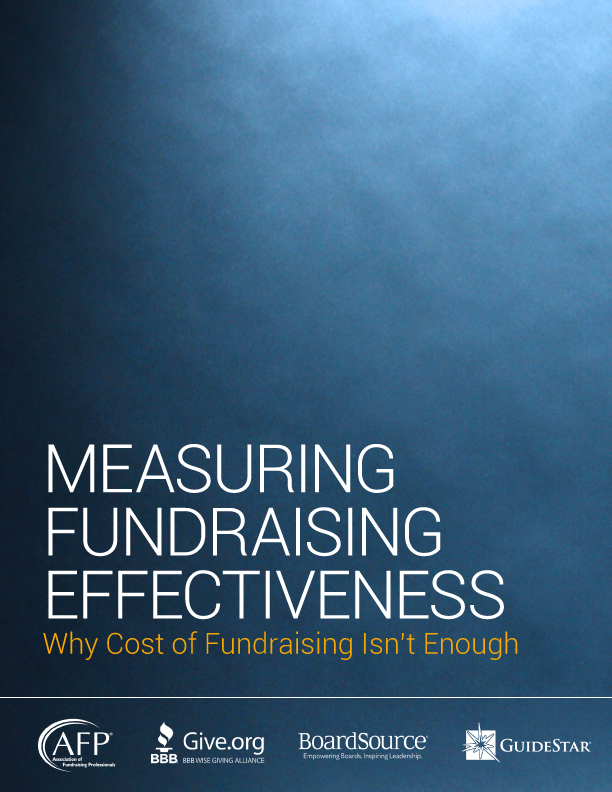 Whether you are new to nonprofit governance or a seasoned veteran, you will undoubtedly encounter thorny board-related questions. 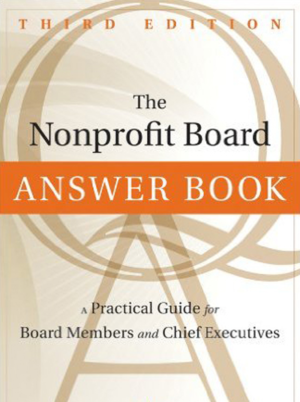 The Nonprofit Board Answer Book provides the answers to 85 of the most-commonly asked questions that boards struggle with. 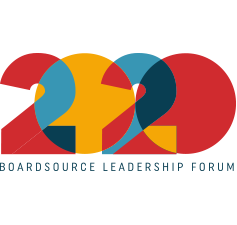 The answers are based on more than two decades of BoardSource experience gleaned from working with thousands of boards around the world.